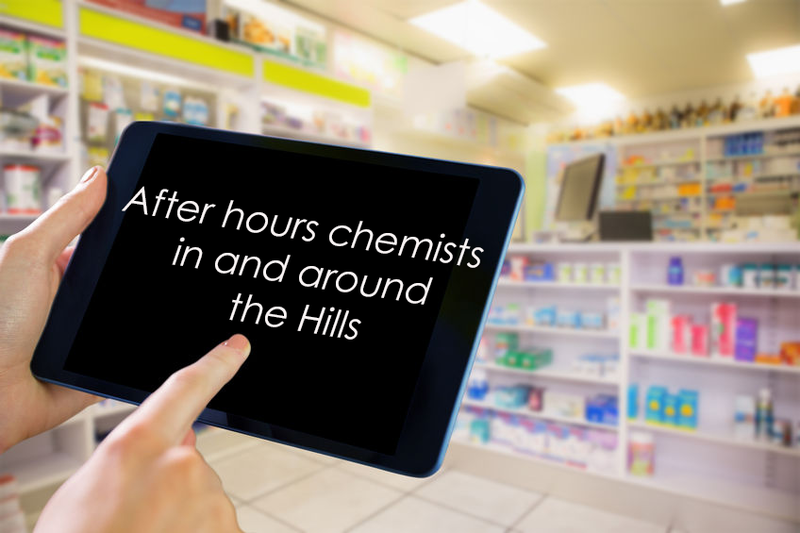 One of the most asked questions on the Hills District Mums Facebook group is in relation to late night/after hours chemists. It’s the middle of the night and you would do anything to make your little one better. Here’s a list of late night chemists in and around the Hills. We do suggest that you give them a call prior to heading there – we try to keep this list up to date, but things change. Note: the closest 24 hour a day, 7 days a week chemist is Chemistworks in Wetherill Park. Weekdays: 9am – 9pm. Weekends: 9am – 9pm. All public holidays: 9am – 9pm. Weekdays: 8.30am – 9pm. Weekends: 9am – 9pm. All public holidays: 9am – 9pm. Weekdays: 8am – 10pm. Saturdays: 8am to 7pm. Sundays: 9am to 7pm. Public holidays: varies, call to find out. Weekdays: 8.30am – 9pm. Weekends: 8.30am – 8pm. All public holidays: 10am – 4pm. Weekdays: 8.30am – 9pm. Weekends: 9am – 7pm. All public holidays: 10am – 3pm. Weekdays: 8am – 8pm (Thursdays open until 9pm). Weekends: 8am – 5pm. All public holidays: 10am – 4pm. Weekdays: 8am – 8pm. Weekends: 8am – 5pm. All public holidays: 10am – 4pm. Weekdays: 9am – 10pm. Weekends: 9am – 9pm. Public Holidays: 10am – 7pm. Weekdays: 8.30am – 9pm. Saturday: 8.30am – 5pm. Sunday: 9.30am – 5pm. Public holidays: varies. Weekdays: 8am – 8pm. Saturday: 8am – 6pm. Sunday: 9am – 6pm. Weekdays: 8am – 8pm. Saturday: 8am – 7pm. Sunday: 9am – 6.30pm. All public holidays: 10am – 4pm. Weekdays: 8.30am – 10pm. Saturday: 8.30am – 10pm. Sunday: 10am – 10pm. Weekdays and Saturdays: 8am – 9pm. Sunday: 9am to 7pm. Public holidays: 10am – 6pm. Weekdays: 7.30am – 10pm. Weekends: 8am – 10pm. All public holidays: 8am – 10pm. Weekdays: 8am – 10pm. Weekends: 9am – 10pm. All public holidays: 9am – 10pm. Weekdays and weekends: 8.30am – 10.30pm. Public holidays: 8.30am – 10.30pm. Everyday, including public holidays: 8:00am to 10:00pm. Weekdays: 7am – 11pm. Weekends: 8am – 10pm. Public holidays: generally, open hours variable.